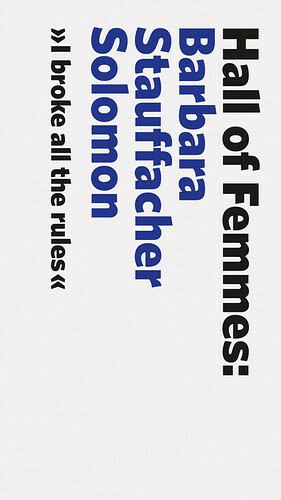 The Hall of Femmes book series all feature white covers with black type and a pop of colour for the designer’s name, accompanied by a pull quote. The Carin Goldberg cover reads, ‘Think. Look. Listen. Ask questions. Have fun. Assume nothing.’ Tomoko Miho’s reads, ‘Good design is about finding solutions.’ The cover quotes are discerning pieces of advice for young designers embarking on a career in graphic design. Inside, after a short introduction about the project and the featured ‘femme’, the content follows an informal Q&A format interspersed with colour images of work spanning the designer’s career. Personal circumstances are not untangled from professional practice, which leaves room to tell stories that include sequences of unfamiliar events that shaped their illustrious careers. The conversational tone also gives weight to the impression that these masters are speaking directly to the next generation. Bouabana says, ‘The Q&A format has allowed us to ask open questions, ranging from the professional to the personal, in order to learn and reflect the apprentice culture within our profession, where knowledge is passed down to the next generation. We are outside academia and don’t feel the pressure to prove what we know by the way we phrase our questions.’ Simple questions such as ‘You went to study for Armin Hofmann – did he understand your situation?’ yields answers from Barbara Stauffacher Solomon that provide insight into Hofmann’s teaching methods in the revered Swiss Style, while also exposing her drive to forge a new career after the death of her first husband. She says: ‘In San Francisco, everything was in a state of disorder. In Switzerland, everything was in order and I liked that. Perhaps it was the ballet dancer still in me. I liked the daily routine. Switzerland was more of a getaway. A lucky getaway.’ The Stauffacher Solomon book is imbued with a sense of honesty and reflection, perhaps a tone only achievable from a designer well into her career, less concerned with appearances. Bouabana says: ‘There are, of course, people that we are interested in but they are too young and we don’t want them to be in the middle of their career. In our experience, older people aren’t afraid of telling it like it is and care less about what people think of them.’ There is room for younger voices, however, on the Hall of Femmes’ website and blog, social media posts, podcasts and talk series, as well as from within their growing team in Stockholm. The series has thus far looked at American women graphic designers, which has seen the team travelling back and forth to America. 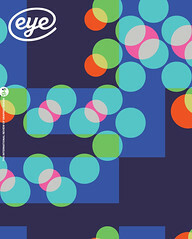 This has inevitably made the books more costly in time and money, yet the prospect of extending the series to include designers from Europe and beyond remains on their agenda: Bouabana and Tillman Sperandio have their eyes set on Swiss graphic designer Rosmarie Tissi and Dutch designer Irma Boom (see Eye 88). Cover of the latest book in the Hall of Femmes series. 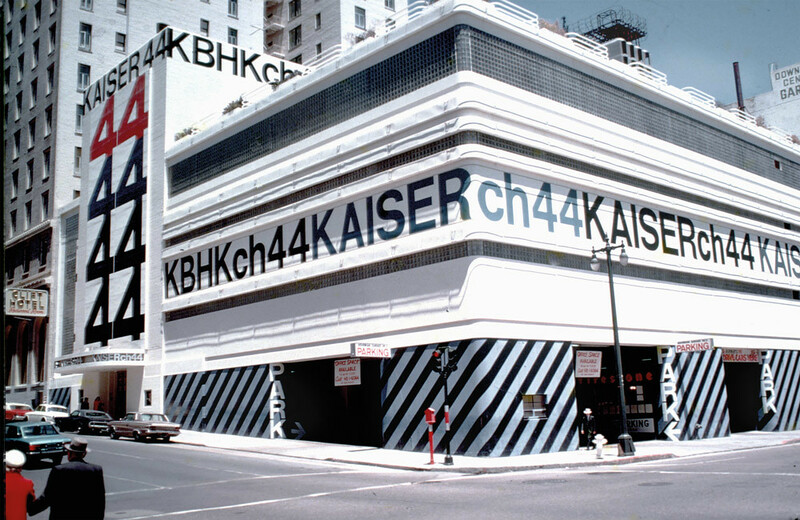 Top: Stauffacher Solomon’s supergraphics for Kaiser Channel 44 KBHK TV Studio, 1965.